Elijah is a vision, a calling, a way of being. If I have learned anything over the past decade it is that what Elijah truly is, or can become, far exceeds the range of my own understanding and conceptualization. The vision drew in the first instance upon who I myself was: A spiritually engaged academic, who was, and continues to be, transformed through deep contact, spiritual and intellectual, with equally minded representatives of other faith traditions. And the quest for transformation, so I have always known, is a draw towards greater unity, without obliterating fundamental distinctions. Both forces have had multifarious expressions through Elijah over the past decade. I have been transformed, and continue to be so. So has virtually everyone who has been touched, through knowledge, through wisdom and through love, in deep encounter with serious and important representatives of other religions. And unity has been the fruit of that transformation: unity of heart, mind and spirit, of theory and action, of people of different continents and of diverse religions, of scholars and leaders, of religious and lay leadership. All have come together under the power of one compelling vision. Elijah’s calling continues to carve out new forms of expression. Elijah has come a long way since it was conceived in terms of a B.A and an M.A program – reflections of the life I myself had led up to that time. And yet, so much of what has transpired, and what we continue to dream of, was already there in that founding vision. The sharing of scholarship, the inspiration of prayer, the transformation of leadership and the renewal of religion, all religions, from within – all these were the driving spirit behind the founding vision. And they continue to find new and fresh expressions. The forms, structures and strategies have grown and developed. The spirit and the way of being have remained the same. I could not have imagined a decade ago that some of the world’s most important religious leaders would become close associates, that an international network would develop or that a museum and house of prayer would be the pinnacle of our hopes. And yet it has come to pass. And it has come to pass because the vision has expanded beyond myself. It has become a collective vision, to which many friends and partners contributed. If I was the recipient of the original impetus, many other friends received subsequent iterations of that same spirit, as it found expression through their knowledge, experience and understanding. 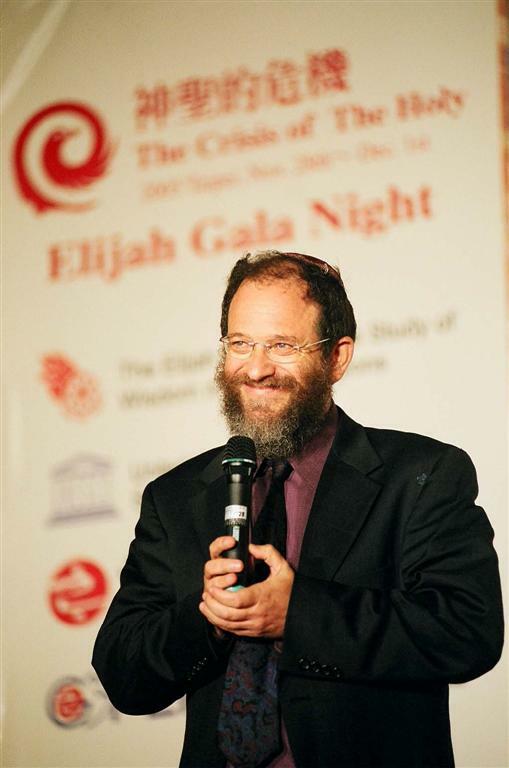 Working through the Jerusalem consortium was the wise counsel of Rabbi David Rosen. Both the Board of Religious Leaders and the Educational Network were inspirations of one of our board members, Rabbi Stanley Wagner, himself a formidable interfaith activist and institutional builder. Other associates pointed to the vision of the HOPE Center and suggested various of its features. Specific projects imagined above were the inspiration of prominent collaborators like Barry Levy. The list of associates whose mind prints have been shared above is long and detailed. They have all become the community that carries Elijah’s vision of hope. This is perhaps the greatest indication of the true interior life of Elijah. The vision and initiative of one man, myself, have become the property of an entire community. Only through this community could Elijah have come as far as it has. The transformative vision of Elijah has itself been transformed in the process of being owned, shared and expanded. The time has come for further sharing, for a broadening of the rows, for Elijah’s spirit to find new collaborators, through whom the fundamental vision can find ever new articulation. All that has been described above has been an expression of the working of the Spirit. It is my sincere prayer that the reader of this document will himself or herself be touched by the Spirit, so as to join his or her “yes” to the “yes” first offered by myself, and then repeated time and again by many, a “yes” through which both he or she and Elijah itself can be transformed.